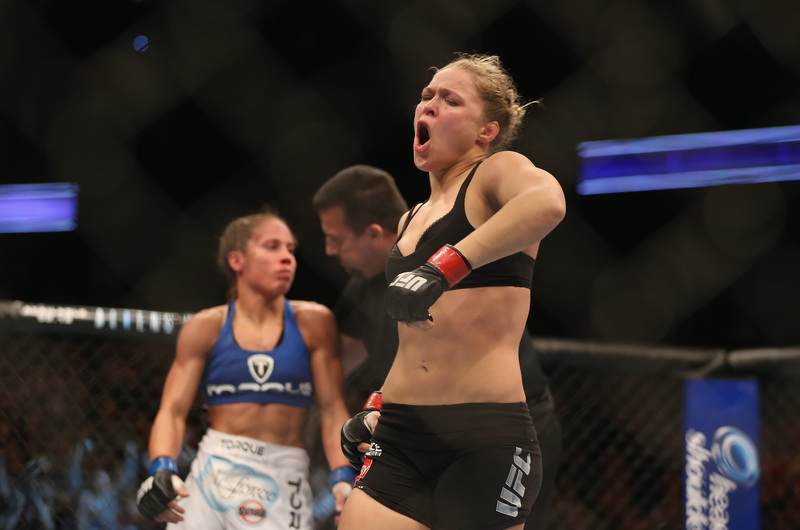 It seems 2014 could be a big year for women's fighting, according to Fox Sports writer Mike Chiapetta. This week, Ultimate Fighting Championship president Dana White formally announced the 2014 launch of a second UFC women's division and an all-women's season of its reality series/mixed martial arts competition The Ultimate Fighter. "From a guy who was saying 'Never, never, never' [on women in UFC], I'm pretty excited about this," White said. A "mixed martial arts promotion company," UFC hosts a lot of the fights on cable and Pay-Per-View, along with a few reality TV series. The new women's strawweight (115-pound) division will include 11 fighters recently acquired from female MMA organization Invicta, including six Americans, two Brazilians, two Australians, and one woman from Scotland. In 2013, UFC aired its first women's fights, headlined by Ronda Rousey, who will coach this year's new female division along with rival Miesha Tate. The UFC had long balked at the prospect of adding women into its fold because of the perception that there wasn't enough depth to create meaningful weight classes. Rousey's rising stardom had a significant impact on the way White viewed the potential for female fighters in the UFC. Though UFC president White was once adamantly opposed to women fighting in the UFC, he said Rousey helped change his mind, along with the success of the female fights in 2013 — The Ultimate Fighter episodes featuring women’s fights drew 44 percent higher ratings on FOX Sports 1 than shows with men fighting.